If you are not yet benefiting from LinkedIn opportunities and not yet expanding your business exponentially through social media, especially LinkedIn, then it’s time for you to take part in this event and finally start profiting from opportunities that LinkedIn offers. If you’re an entrepreneur, freelancer, consultant or business owner – looking to up your social media impact game to skyrocket your business, then this event is for you. Come and join! If you want to ensure that it’s much easier to attract your ideal clients and your target clients find you themselves and bring their friends along, who also need your services, then this seminar is exactly for you. Double your income and revenues though LinkedIn! It’s a totally different strategic LinkedIn impact event that will change your perspective of possibilities and rock your business exponentially. You will discover how to master the power of LinkedIn to accelerate your business development and dramatically increase the number of target clients demanding your services. I am sharing my impact formula on how to enhance your personal brand, thought leadership and visibility on LinkedIn and rock your business results with customers finding you, coming to you themselves and requesting your services! The platform is there, if you are not yet benefiting from it and profiting while being there, you are doing something wrong or not doing something that could actually rock your business targets. You have to use it strategically and authentically as per the tips and advice in this session and you will be amazed at the business results and brand loyality that you will achieve. This course is not about the ordinary, this is about authenticity to attract your target customers and rock your business. 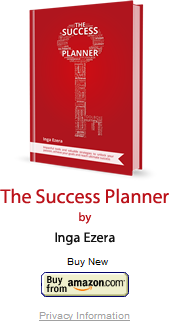 I’m Inga Ezera, personal brand and business development partner. I help ambitious and dedicated entrepreneurs like you to develop your personal brand, up your social media impact game and sky-rocket your business by ensuring that your target clients find you themselves and request your services. So you can focus on doing the work you enjoy. Practical methods to implement, that bring real business results. I’m always sad to see talented business owners lose clients and customers, not because of their skills, knowledge or expertise, but because of inconsistency in their brand messaging and not utilising the latest trends to reach a wider audience of ideal clients. So do you really want to stay where you are currently with your business and not utilise the impactful and strategic approaches to expand our visibility and impact, outreach your competition and get your ideal customers lining up to request your services? Do you want your ideal clients to go to competitors just because they are not aware or not sure about your services and how you can best help them? Or do you want to ensure that you have mastered the impactful Power of LinkedIn to dominate your niche with your thought leadership, outreach your competition and ensure your ideal clients know, like and trust that you are the one whos services they need? I’m excited about the opportunities that mastering LinkedIn strategically for business has given me, I hope you will get that sense of excitement very soon – as soon as you will implement the strategies and action points of this session. When: 5 June at 19:00 – 21:00. Why: Discover how to develop business easier and exponentially.